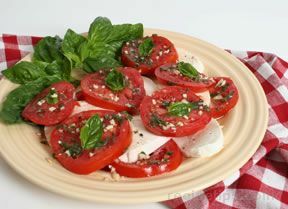 Chop tomatoes in half and cut halves into thin slices. Arrange tomato slices on four plates. 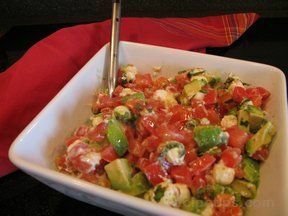 Drizzle 1 tablespoon olive oil over tomatoes on each plate and sprinkle with pepper. 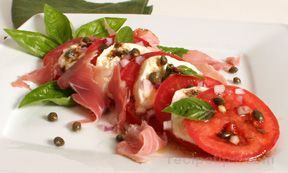 Lay thick slices of mozzarella over tomatoes and garnish with fresh basil leaves. Cover plates with plastic wrap and refrigerate for 30 minutes.